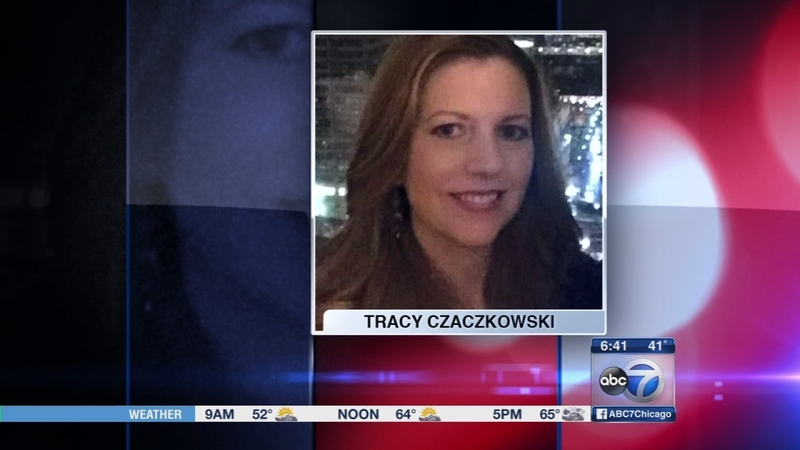 DEFOREST, WI -- A mother of two from north suburban Buffalo Grove has died after a drive-by shooting on a Wisconsin highway. Tracy Czaczkowski and her family were heading home from Wisconsin Dells. Her family confirmed her death Tuesday afternoon. Czaczkowski was in the passenger seat of her family's SUV with her husband and their children when police said their vehicle was targeted at random. The 20-year-old suspect and his two brothers pulled up to the SUV on I-90/94 near Lake Delton, Wis. He fired three shots at the family's vehicle. One bullet lodged in the passenger-side door. The other hit Czaczkowski in the neck. Her husband of 15 years, Greg, and two children were not hurt. The DEA released a statement saying Greg was employed by the agency for 11 years. Czaczkowski's brother released a statement Tuesday after the DEA took over the investigation. "We are immensely appreciative of what the Agency is doing for Greg and the children," he said. He said Czaczkowski is one of seven siblings, and they are still making their way from various states. "We are all extremely proud of what Tracy accomplished in life, the wonderful family she created and the joy she brought to everyone around her. We ask for prayers for her loving husband and children," her brother said. Cell-phone video shows a rescue helicopter making an emergency landing on the highway. Czaczkowski was airlifted to the hospital. ABC7 Eyewitness News received audio recordings of a dispatcher sending emergency crews to try to save her life. Dispatcher: "...for a person that was shot in a drive-by shooting. Shot in the throat. Unresponsive." For nearly 20 miles, police say the suspect and his two brothers sped down Wisconsin roads. Witnesses said they were throwing out beer cans before police used road spikes to stop them. "He starts chucking beers out the window at us, and then I put my head down to take down his license plate, and he started shooting," said Gjuana Huewitt, a witness. Police caught up with the suspects and shot the alleged gunman. He's recovering in the hospital and has not yet been charged with any crime.